Can I just say how easy it has been to have a meal plan to refer to every week? 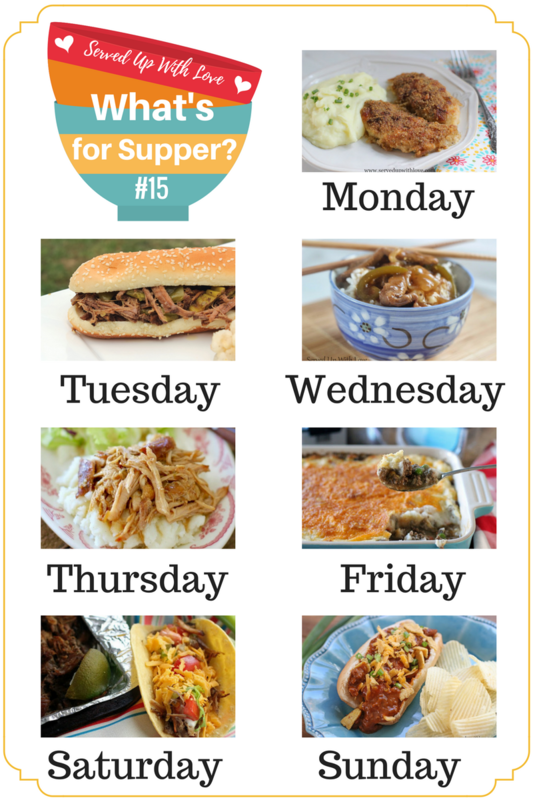 Last week's What's for Supper Sunday was all about quick and easy recipes using chicken. This weeks meal plan is a mixture of a little bit of everything. My slow cooker is going to come in very handy this week. To see any of the recipes, just click the recipe title and you will go right to it. Have an awesome week!